I don’t have a lot of time to write as I’m putting together everything for my trip to New York City. I’ve got my clothing for the trip all packed. Tonight, I’ll finish up the packing. I seriously can’t believe that this trip is finally happening! 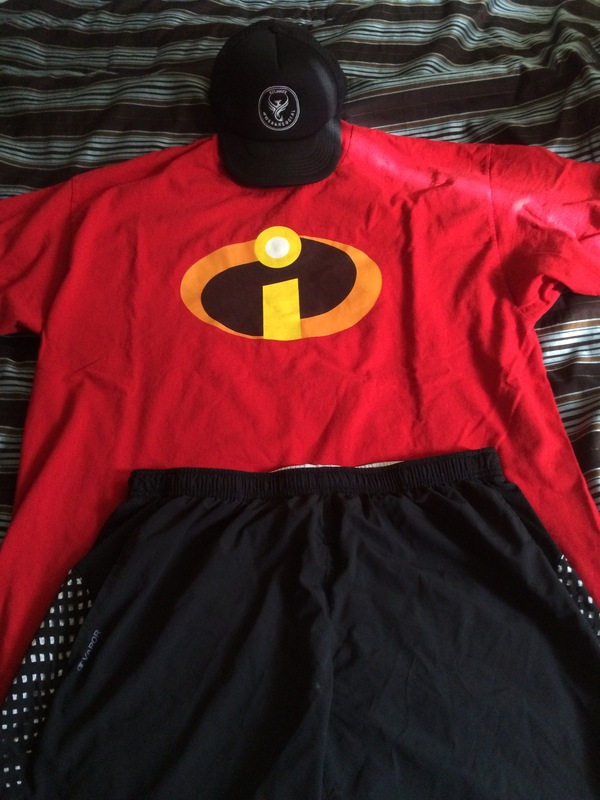 For the Abbott Dash to the Finish 5K on Saturday, I’ll be gong with The Incredibles. It’s going to be cold in NYC. So, I’m going to be wearing a long sleeved moisture wicking shirt under the cotton Incredibles shirt. I’ll be fine in shorts with the cold. And I’ll top it off with a We Run Social cap. This race is a total fun run for me. I won’t be pushing for any kind of PR’s. I just want to have fun and get the legs going. Some call it a shake out run. 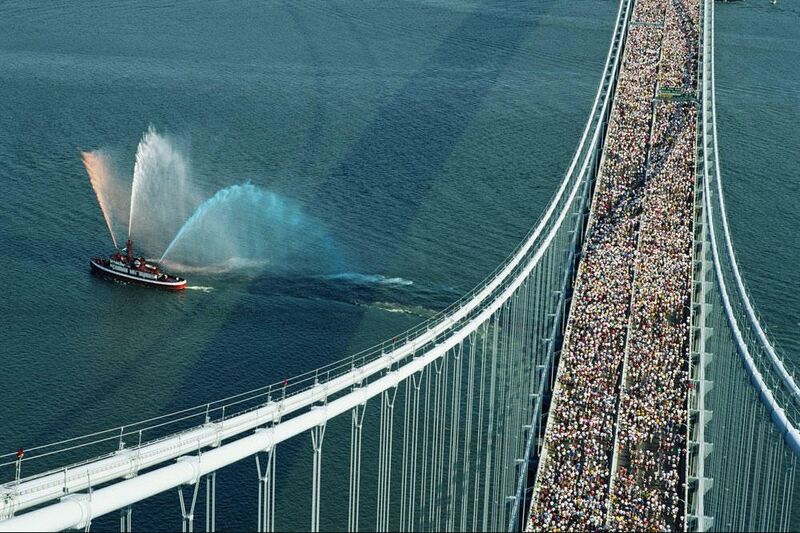 This race starts at the United Nations and finishes where the marathon finishes. I’m pretty stoked about this race. 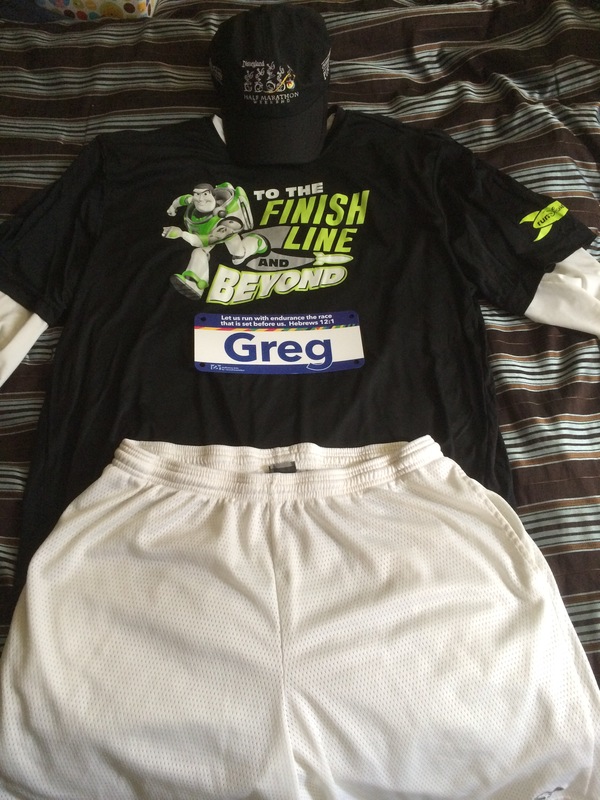 Here’s what I’ll be wearing for the TCS NYC Marathon. I bought this shirt at the Disneyland Half Marathon this year. I love everything about it! To the Finish Line….And Beyond! 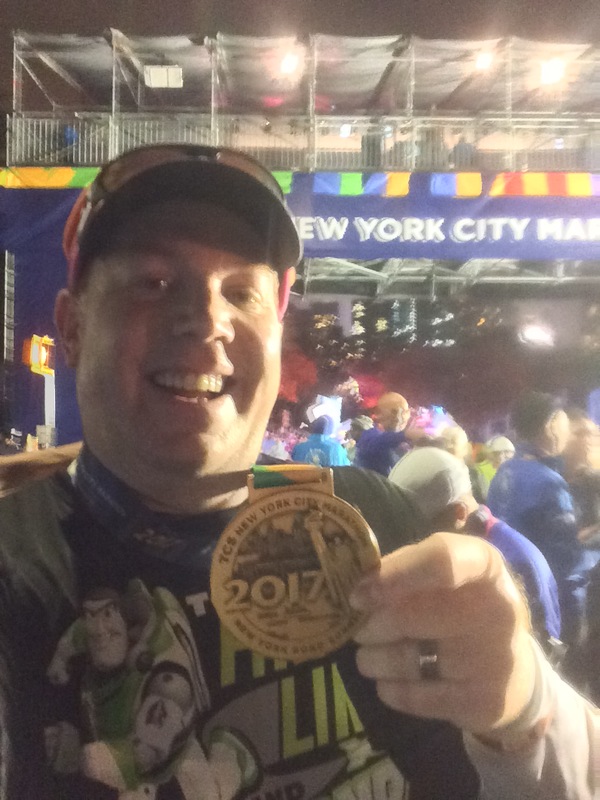 I ran as Buzz Lightyear in my first marathon. So, it’s totally fitting that I’ll be representing him in this marathon as well. The forecast calls for rain off and on in the morning and afternoon. This is not good news. I’ve also purchased a clear poncho to have with me should it rain enough during the race. I also added the little race bib with my name on it. I’ll be wearing a fuel belt that has a place for the official race bib. So, I’ll pin the one with my name on it to my shirt. I got a clear poncho so you can still see my name even if I have to cover up. Plus, I want race photos with that Buzz graphic. The race is calling. I can’t wait to get to the Big Apple! 2017 TCS NYC Marathon Finisher! Safe travels and good luck! Love the Buzz Lightyear shirt!